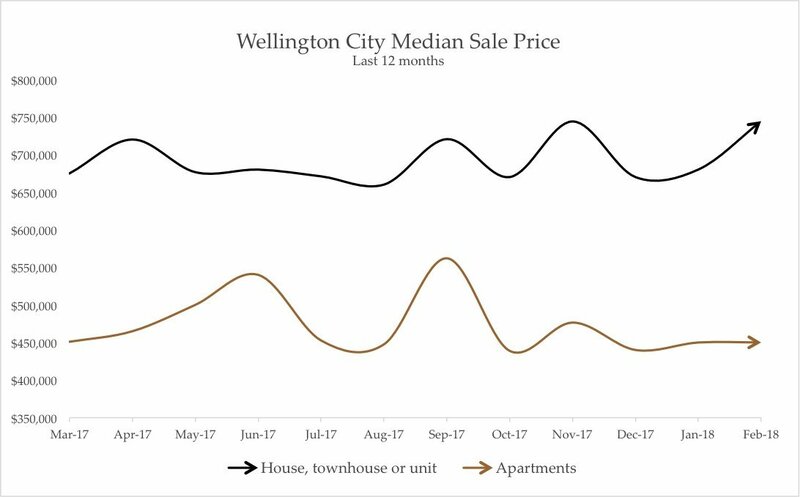 The median sale price for non-apartment properties (houses, townhouses and units) in Wellington increased to $744,373 in February 2018. That’s the highest median every recorded for that segment of the market. Just beating out November 2017’s high of $744k, and well up from the January median of $680k. How many sales went into that record month? There were 325 sales in February. Up 24% from the same month last year (262 sales). A big lift which I would put down to increased confidence in the market now that we don’t have an election looming in the distance. 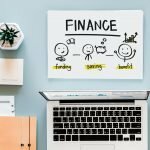 Along with a number of investors making a decision to sell now and bank some capital gain, at what they feel will likely be the peak of the market. While a continued increase in new properties coming on the market has continued (629 available as of the date of writing), the stats above show that buyer demand is keeping up with supply. 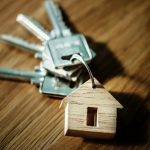 Reports at the coalface, however, indicate that properties are getting a little harder to sell and open home numbers are pulling back slightly. So we may see some levelling out in the months ahead as buyers start to enjoy the increased choice at their disposal. 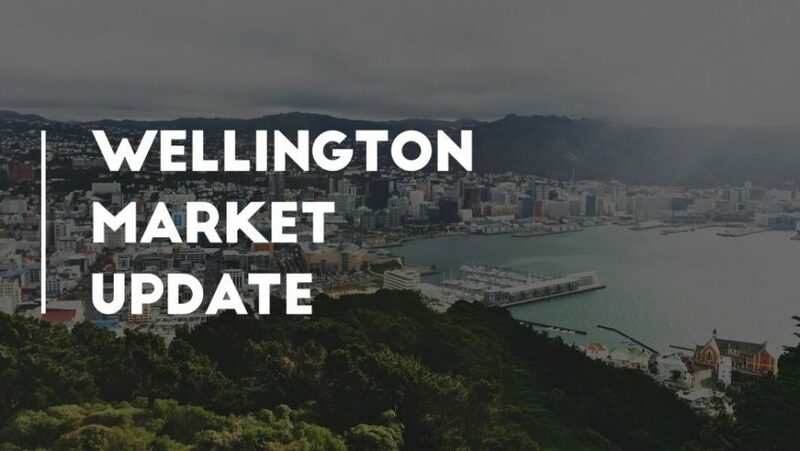 Note: Only 79 of the properties available in Wellington City are standalone homes or townhouses that could sell under the $500k welcome home loan price cap for Wellington. So it’s still tough going out there for those trying to work to that criteria. 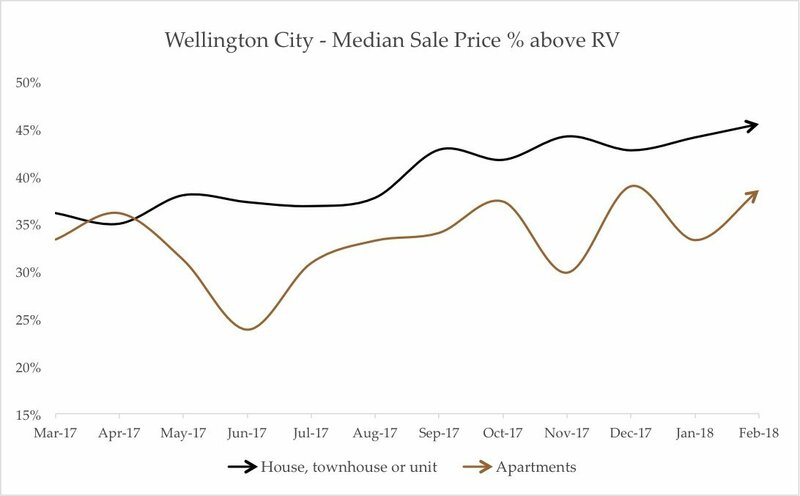 How accurate are Wellington Rateable Values? Despite the big jump in median sale price, the median % over RV didn’t change that much. This tells me the market remains fairly steady. The median % above RV for houses, townhouses and units went up 1 point to 45%. Meanwhile, apartments actually increased 6 points to +39% over RV! This makes me wonder – are more buyers turning to apartments as they get priced out of standalone properties close to the City? 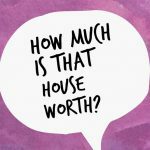 How long are properties taking to sell? 24 days for standalone homes, townhouses and units. These numbers tell me there was a fair amount of pent-up demand that built up over the holiday period. 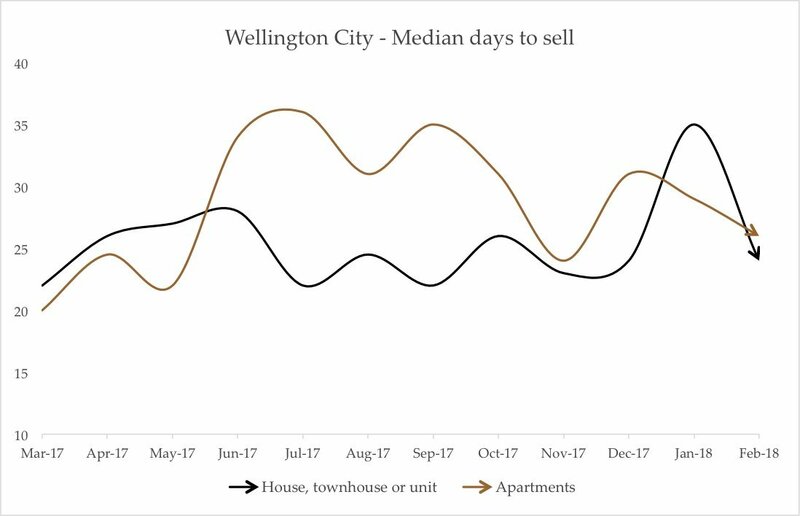 Hardly anything comes on the market over December / January, so buyers jump on anything that pops up after Wellington Anniversary weekend. How are those Tenders tracking? After a couple of months playing second fiddle, Tenders bounced back! Showing a median premium of 52% over RV. 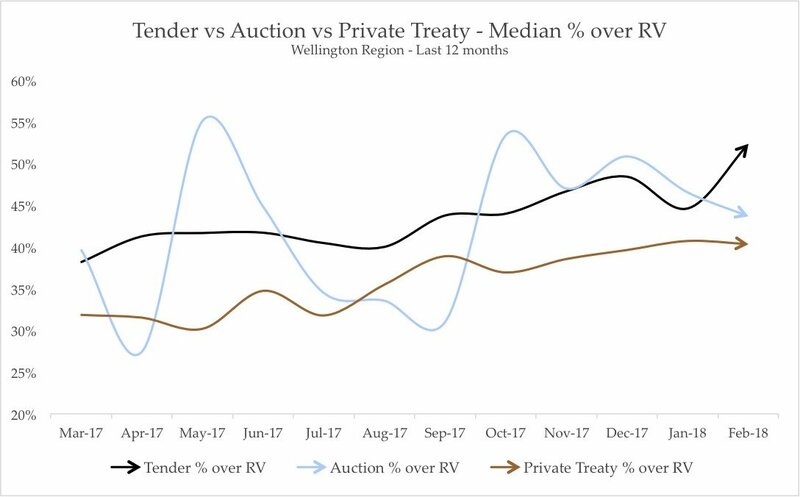 Auctions slipped back to 44% but this again was based off a small sample size and comes off the back of an impressive 4-month run. 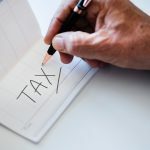 There continues to be a premium available for most sellers who are able to market their property with a deadline and sell it during that period. Note: The 3rd category ‘private treaty’ includes everything that wasn’t sold via Auction or Tender, including properties marketed with a price, BEO, deadline sale, by negotiation etc. This category will include properties that were originally marketed as Tenders or Auctions but didn’t sell by the initial deadline. The median for these sales was +40% above RV, down 1 point from January. What I’m watching going forward. I am hearing reports that the market is slowing down, however, if past experience is anything to go by we will see fewer homes coming on the market after Easter as we head towards the colder months. 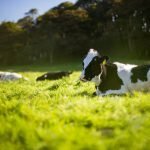 This, in turn, decreases the amount of choice for buyers and usually helps support good prices and a consistent market throughout Autumn and Winter. If I was a buyer, what would I do? Gosh it’s hard, isn’t it? I feel so incredibly fortunate that when we bought our first home in Johnsonville in 2009, it only cost $416k and we only had a 5% deposit! It’s scary how much things have changed since then. Console yourselves that at least you aren’t buying in Auckland and at the same time, only commit to what you can afford. Make sure you research your market and look at 20+ properties before you make any offers. Don’t get sucked into making rushed decisions either. There will always be another house and us humans rarely make good, informed decisions under pressure. If I was a seller, what would I do? Aim to go on the market after Easter. You don’t want your first open home to be on a long weekend. Especially one that most Wellingtonians use as their last chance to get away before Winter. When there is more choice on the market, agent selection is critical. 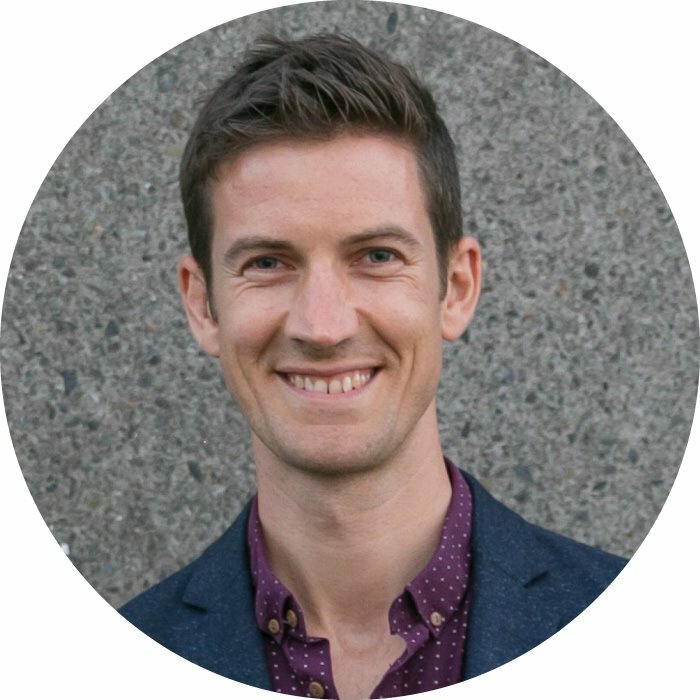 Check out my 11 questions to ask before you hire anyone and stay tuned for next week’s post where I will talk about how time on the market affects your final sale price. Here is a hint: You should never sign up with a real estate agent for more than 60 days. 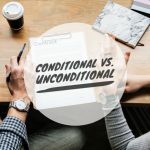 Most agency agreements (the form you sign when you hire an agent) are for 90 days but you can negotiate this before you sign. Click here to subscribe to my newsletter and get early access to new articles. Stay safe out there everyone! PS. Hiring the right salesperson to market your home is more important than trying to time the market and it will usually have a bigger bearing on your end result.